Sammy the Squirrel is a happy squirrel that loves to make people smile, run 5k runs, make buttons with his button maker and help non-profits! Sammy the Squirrel had a surprise visit to Microsoft on 5/24/2012. He went to rock out with the Windows Phone team. 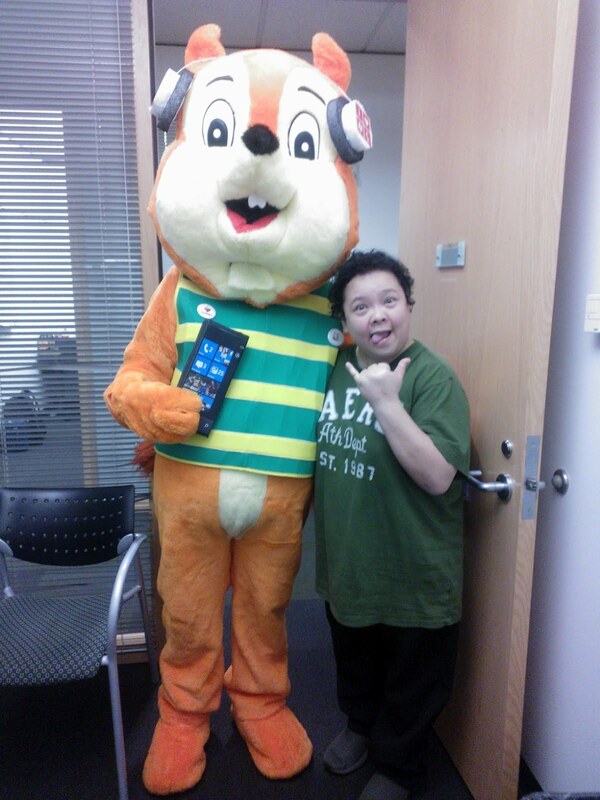 Sammy got to take a few pictures, hand out some custom made buttons and show off his home-made Windows Phone! Thanks to everyone that made it a great visit.